Getsumei no Mai - Moonlight dance, self-printed in an edition of 100 in the spring of 2014. Paper size: 12 x 34 cm each. This is a diptych and the two prints will only be sold together. 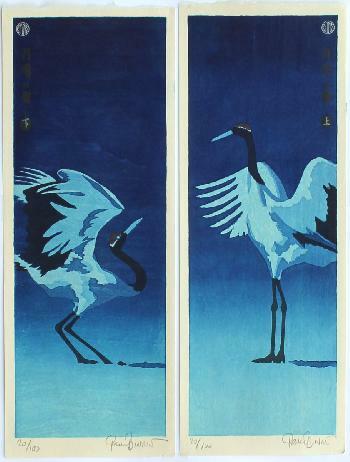 They are reduction woodblock prints, which means that the blocks were destroyed in the course of the print’s production.